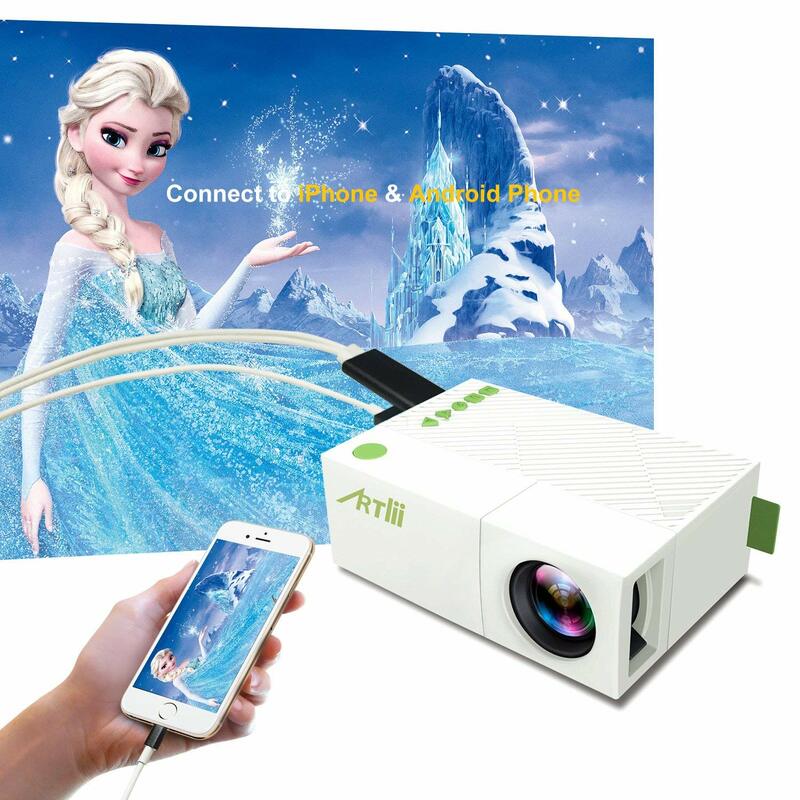 Artlii Mini Portable Projector is good for iPhone or Android with MHL, HDMI connections. 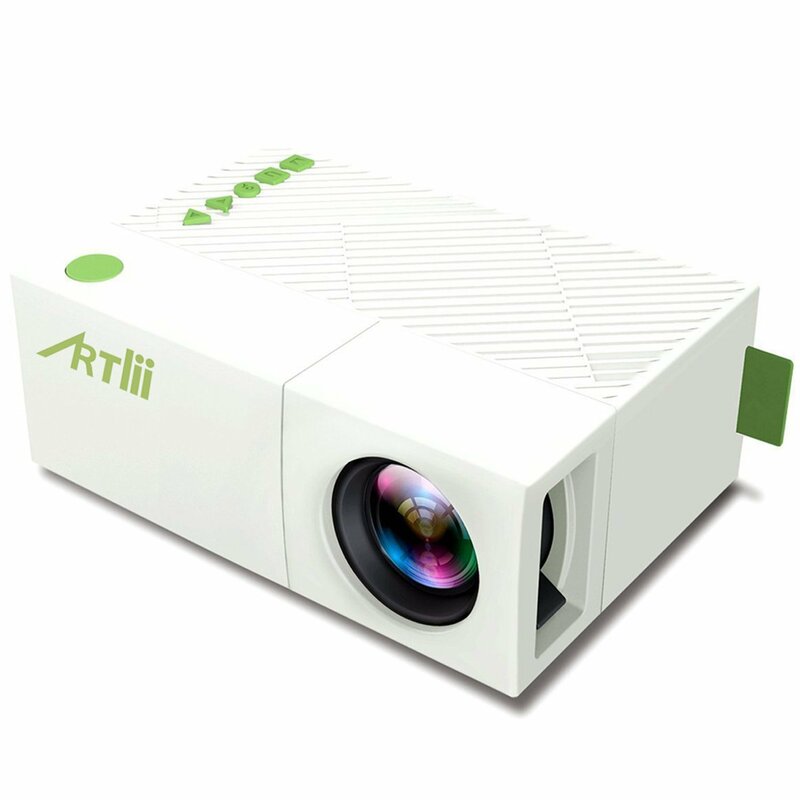 This Artlii mini projector delivers the best audiovisual experience. 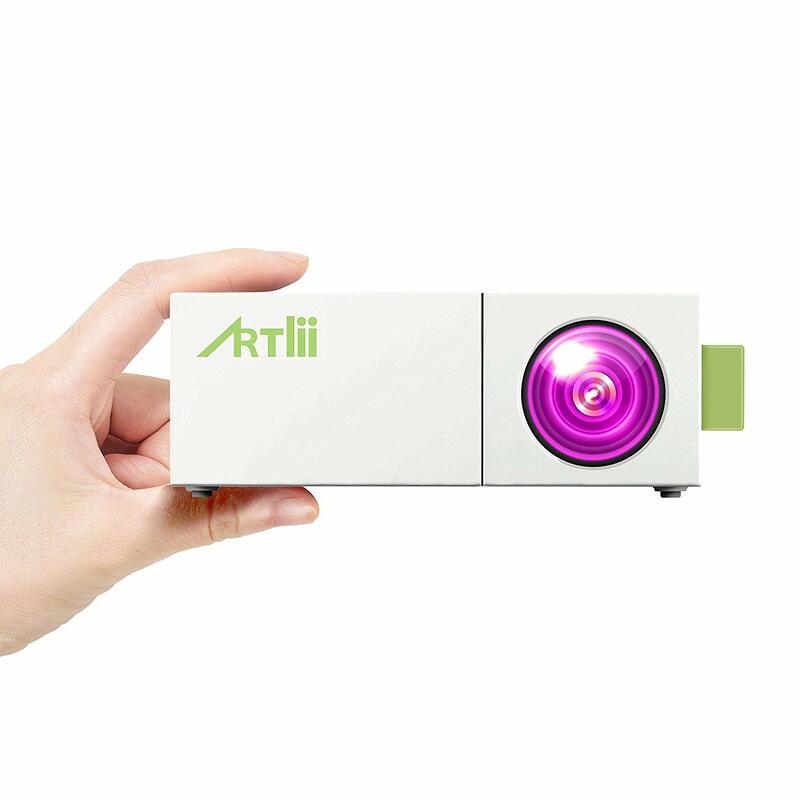 This small Artlii portable projector is made for big things because it comes with excellent features. 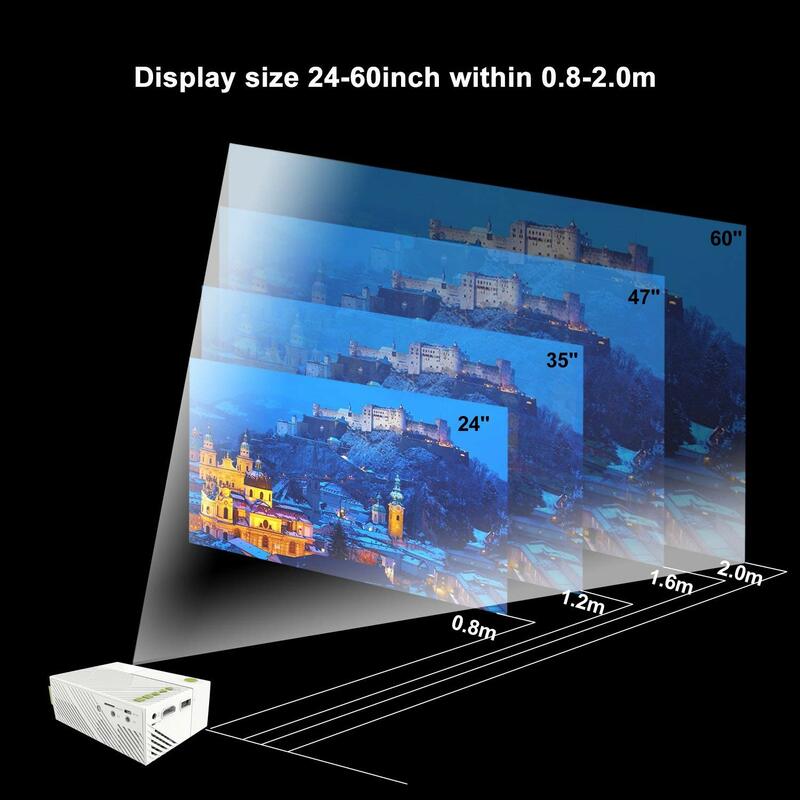 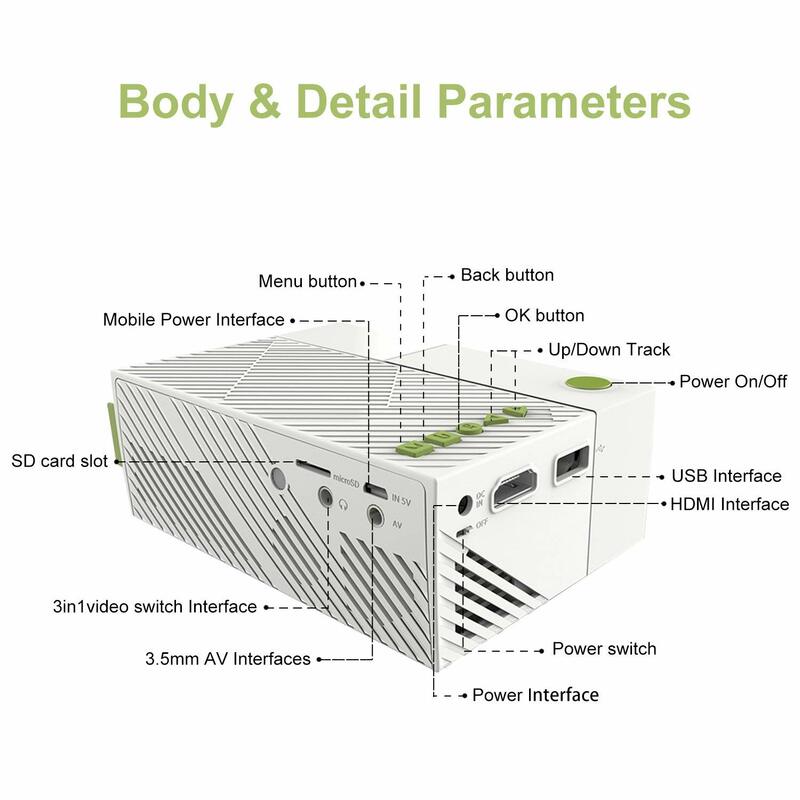 It features 24-60 inches image size, 3 to 10 fit projection distance (best projection distance is 5-6.5 feet and best projection size is 40 to 55 inches). 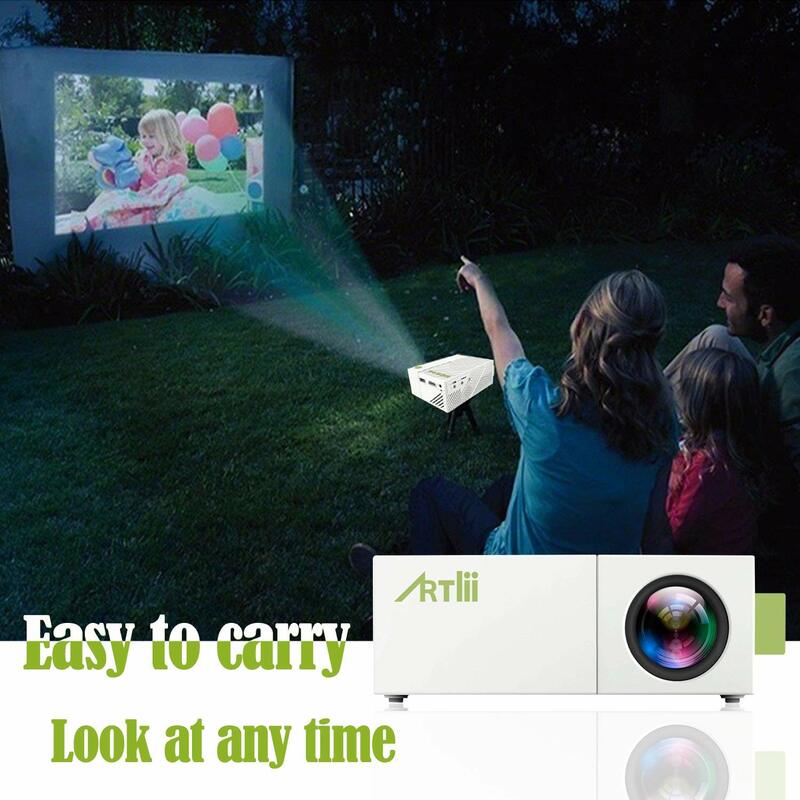 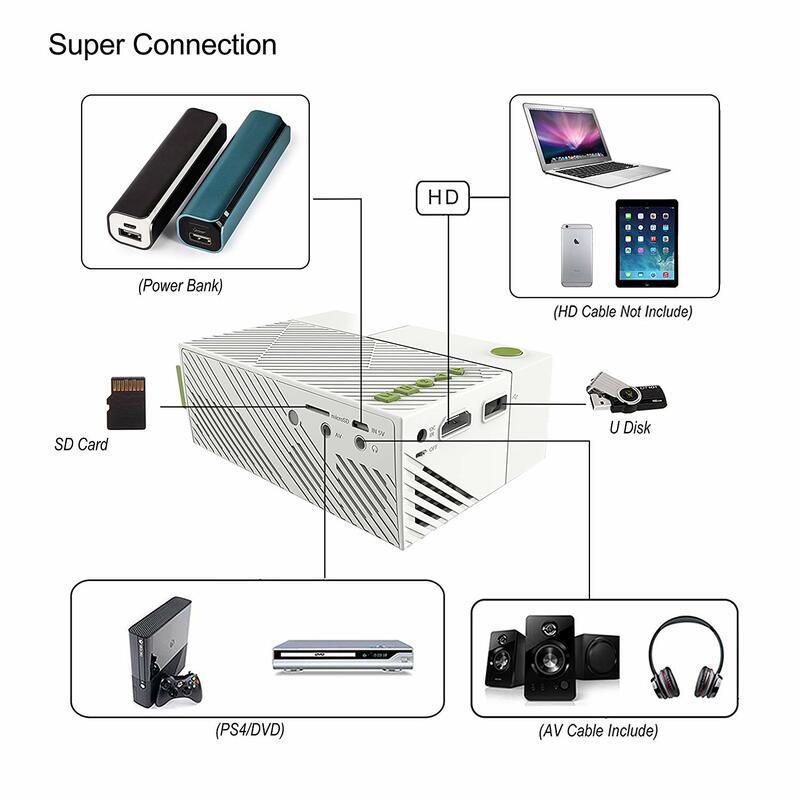 Artlii mini video projector is very easy to charge, you can use power bank to supply power as well. 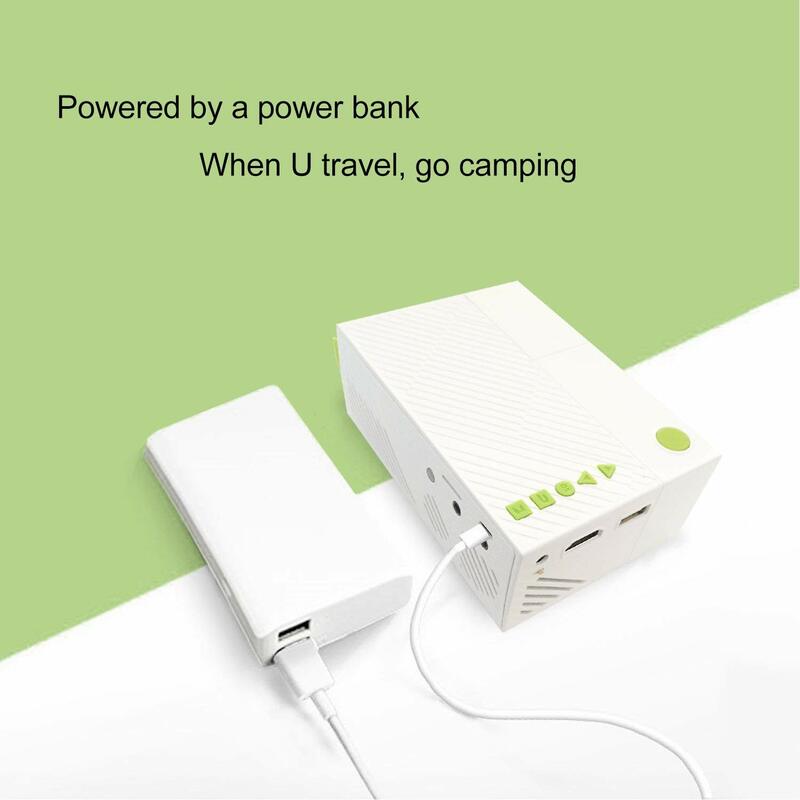 This is really a great way to make your time memorable when camping, hiking or something outside.